What is your Aura Telling you About your Health? When people talk about health, we often hear of nutrition, exercise, sports and even mental health but rarely do people talk of spiritual health outside the context of religion. Religion has for many reasons become many people’s unique and only source for spiritual guidance but seldom is it spoken about under the context of health. 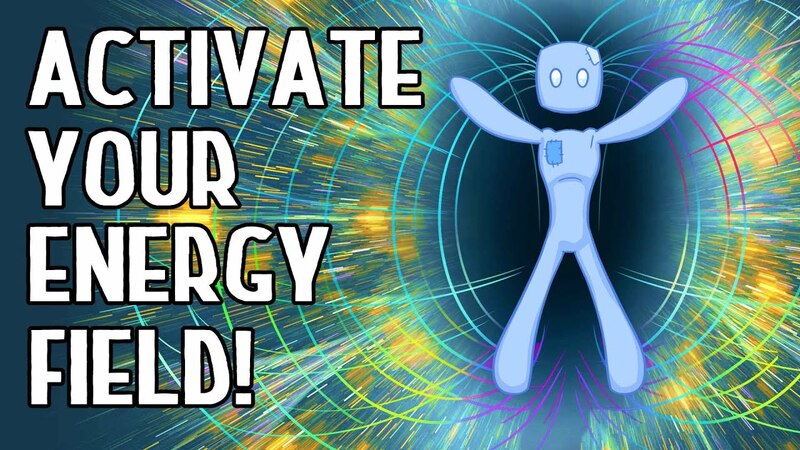 Most health issues first begin in the in the higher energy systems within your body such as your aura. You aura is made up your subtle bodily and spiritual energy that naturally flows like a stream. Without the intervention of man (or woman), a stream will find its way where it needs to go and life will flourish. It will rid itself of toxins while setting the stage for nutrient habitats and biodiversity will thrive. Your aura is intrinsically yours and you are human, so to a certain degree, to have lasting spiritual health, you have to learn to become more like the stream. Your energy system has to flow unrestrained for all your physical systems to work efficiently and to do that it’s important to know how this energetic stream flows. Your aura flows through 7 major chakras and 21 minor chakras. These chakras are subtle energy torrents that rotate at ever expanding frequencies but must work in harmony for your spirit and body to thrive. To keep these tides in tune its important to understand how to nurture them through exercise and understanding, here’s a description of what your chakras are all about. Depicted by the colour red and a four petal lotus, the root chakra highlights your instinctive and physical human traits. When you think or the colour red, what emotions come to mind? The base (root) chakra is often associated with intense emotions such as anger, fear, and has strong identity with the ego. This chakra is particularly important because we as human get much of our spiritual energy from mother earth, so if there is interference or blockage in this intersection, spiritual energy will not flow up and throughout the aura. This manifest itself through insecurity, depression, addiction and egomania. The root chakra currently dominates much of society today, as much of the world concerns itself with commerce and self interest. This human energy seeks security, material wealth and power. The Root Chakra is located at the bottom of your spine near your tail bone and opens toward the ground. Your bottom and top major chakras open vertically while your 5 other major chakras open horizontally. If this chakra was a musical instrument it would be a tuba or base guitar, as it resonates at a low frequency. Metal and Rock music are root chakra influenced. This energy manifests itself physically through the legs, feet, bones, intestines and lower digestive system. Characterized by the colour orange and a white lotus with 6 orange petals, the sacral chakra is influenced by reproduction. It represents the raw sexual urge to get naked and do unspeakable things with that special person or people. This torrent of human energy often impacts creativity, desire, pleasure and sexuality but draws influence from emotions on a deeper level than the root chakra. It’s like the difference in emotional depth of the love you have for a parent versus the attachment you have to your new boat or car, both are emotional but one is deeper than the other. To have balance in this chakra could mean the difference between having shallow or deep relationships. Typically, imbalance in the chakra is manifested in the inability to draw a deeper connection to people but also can turn up as sexual deviancy or the lack a libido. The sacral chakra is located between your navel and your pubic bone and circulate horizontally. The resonance of this flow would be more similar to some jazz or soul music like Barry White and if you were to play it on an instrument, it would be the saxophone. This chakra influences the physical health of your reproductive organs but also your bladder, kidney and circulatory system. Severe blockage can slowly result in physical manifestations within these organs. Portrayed by the colour yellow and symbolized by a 10 petal yellow lotus, the solar plexus chakra is swayed by your intellect. Try thinking of objects that are yellow. What comes to mind? Many think of caution or the nuance between red and green. It’s not stop, it’s not go, it’s not good, it’s not bad. Yellow is the colour that holds the least amount of information yet tells you that there is information. Ironically the solar plexus chakra involves thought, intellect and technology. When people play chess, their solar plexus chakras are activated through the mental challenge of the game. It becomes dominant within their aura. Typically, this energy tide relates to your bias in life and manifests itself through learning. People with strong cognitive or emotional bias will often be challenged in learning and this is often as a result of imbalance in the solar plexus chakra. The solar plexus also relates to cognitive character and the will to push through mentally. Human beings are naturally head strong and with the proper flow of this circulating energy along with the rest of your aura you should be mentally able to take on anything. This chakra is located a few inches above the navel and vibrates at a higher frequency than both the root and sacral chakra. If it were an instrument it would be a violin, think of Vivaldi or Niccolo Paganini. The solar plexus chakra influences the health or your pancreas, spleen, adrenal gland, and upper digestive system. Represented by the colour green and a circular flower with 12 green petals, the Heart Chakra is guided love, compassion, balance and nature. It’s definitely representative with your ties to mother nature and your flow through the cosmic dance. Think of the universe as a dance partner, your heart chakra keeps you in harmony to know when to lead and when to follow your partner to make the best of the dance. Think of the feeling you get when in the middle of a forest on a beautiful sunny day. That’s your heart chakra blooming because of your connection to nature. If the root chakra represents the love of your most cherished item and Sacral Chakra, the love of a parent, then the Heart Chakra is the love and compassion of the entire world. Be it your worst foe or your friendliest neighbour, to love and respect the entire world and everything on it is truly an exercise of the heart chakra. Impediments within the heart chakra may manifest themselves in behaviour that many of us today would consider heartless. The sociopath, in my opinion is the result in imbalanced within the aura but more specifically as it relates to the heart chakra. This is when someone is so oblivious to the connectedness of the universe that in extreme case do heinous acts but in most case are casually mean spirited or just plain oblivious. The tidal energy is physically located in the centre of your chest beside your heart and is associated with your heart, lungs, your cardio vascular system and your immune system. If you were thinking of presenting this chakra musically your would likely choose an instrument such as a pan or side flute. As we move up the chakra system, the vibrations do get higher. 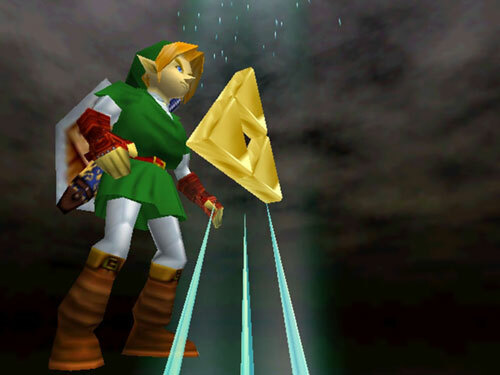 Expressed by the colour Blue and symbolized by a silver circular Triforce (Zelda) in a white circle, with 16 pale blue petals, The throat chakra is governed by communication. Commuincation is not only verbal and with people. You are communicating with your environment all the time through your actions and inactions, and even through your thoughts and feelings. An open throat chakra identifies with the ability make your feelings and thoughts known but also listening how your environment is speaking to you. It also represent communication with your inner self all the way past the ego and to the spiritual self. Your heart chakra is about feeling mother earth but your throat chakra more like dialogue with that feeling. Knowing how to interpret it and speak back to the universe. Imbalances in the the throat chakra often manifest themselves as the tendency to lie to others and yourself. Social anxiety in my opinion is greatly influenced by an unhealthy throat chakra and creative expression may be handicapped. This chakra is associated with with your physical senses, so your nose, mouth, eyes, feeling and so on. Your throat chakra would have a more divine sound within an orchestra, it would likely be the harp in a quire. Depicted by the of dark purple and a indigo lotus with 2 petals, the third eye chakra relates to inners realms of consciousness. Your third eye is said to be linked to the pineal gland which is interesting because your pineal gland is said to be responsible for dreaming. During times of sleep, this gland releases dimethyltryptamine which induces altered states of consciousness. Throughout history, symbols of the third eye have often been discussed in the in the same breath as spirituality and inner realms. This chakra is very intuitive and with proper circulation throughout the aura can lead to increased sensitivity to subtle energies and exploration to various inner realms. The universe is said to be infinite vibrations and frequencies and we as humans, only begin to exists in the 0.5 to 100 hertz range… the range of possible frequencies is unlimited. Despite being outside our normal existence, unexplored frequencies are there, non-locally. Proper circulation within the pineal gland is said to increase awareness to the larger realm of existence. The third eye is also said to be linked to many other aspects and functions of the brain such as memory. Many philosophies exist as to where memories are located but the third eye has been said to be a conduit to those memories and ideas. Perceived bad luck or the lack of foresight is often highlighted by impediments to the third eye chakra but this torrent relates more to a deeper sense of knowing. This chakra is subtler than all above and definitely more mysterious. Represented musically, this chakra would probably be played on a Theremin because of it’s mystical tuning capacity and its weird nature. Symbolized by a lotus with 1000 multicoloured petals, this chakra is the subtlest of them all and vibrates at the highest frequency. It has long been thought to be linked with the state pure conciousness. Having imagined the third eye as giving you access to the subconscious realm, the crown chakra is representative of the super-concious mind. Imagine yourself as a robot. Using todays technology your concious mind would be your secondary storage, where all your easily actionable software is stored. Slow but reliable. Your subconscious mind would be the RAM because it processes automatic operations, such as your balance but it works in the background. Your super-conscious mind would be like your access to the internet cloud. It connects you with all that there was, is and will ever be. It’s the manifestation of the universal conciousness. Your crown chakra is like your human internet connection. It gives you access to what has become known as the Akashic or Karmic Records in many ancient philosophies. Like the root chakra, the crown opens vertically to create a toroidal field of energy called the aura. There would be no one instrument in existence that could properly identify with the crown chakra because it represents all of the universe all at once. Maybe an entire divine symphony? Your major chakras are simply one of many phenomenons interacting within the ecosystem that is your auric field but it’s an important starting place to examine when looking for self improvement and overall health. Many exercises are well known to ensure that proper flow is maintained within your aura. The aura is not well researched in modern science and there are many nuances from person to person, so there is no formulas to having a healthy energy field. The first step is to understand the importance of having well balanced energy and getting to know how your patterns flow. All I can tell you is that your aura is flowing. This is scientifically measured and proven. I can’t tell you how it flows on the other hand, only you can do that through self discovery. Where is your dominant energy centre? Auric Fields, Spiritual Health Auras, Chakra, Energy System, Spiritual Health. permalink.